The ejectors for NaOH solution (sodium hydroxide) are devices designed for moving the fluids necessary for ionic filters regeneration and / or solution dilutions, by aspiration of the NaOH concentrated solution from the vessels, with input water and overflow of the diluted solution. 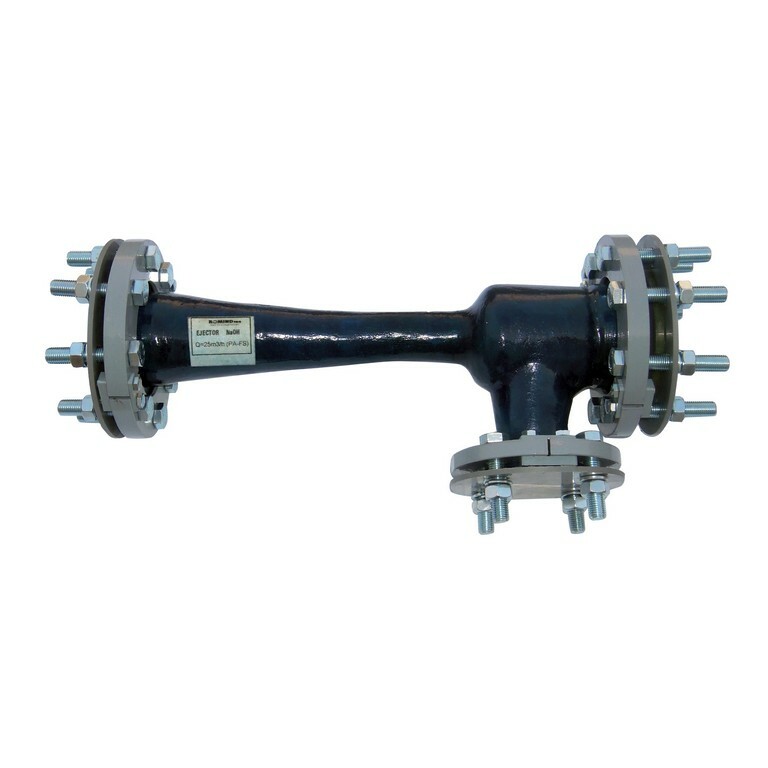 – Fittings with free flanges. The free flanges, the screws and the nuts are made of carbon steel. The ejectors can be mounted vertically or horizontally. The ejectors for NaOH solution (sodium hydroxide) are manufactured in 10 sizes, respectively 4 nominal diameters, depending on the flow rate of the overflowed fluid.